Could intergenerational problems make social justice harder to achieve? Posted 7th August 2015 & filed under Blog, Education, Employment, Housing, Intergenerational Justice. 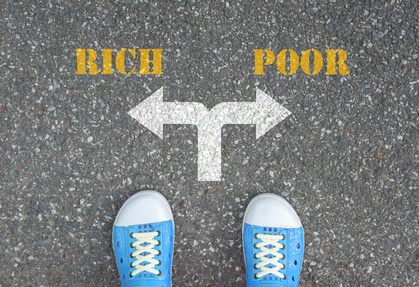 A new report from the government’s official social justice watchdog, the Social Mobility and Child Poverty Commission, has highlighted the benefits that children from wealthier backgrounds enjoy over their poorer counterparts. While this is largely viewed as a challenge for social justice, could it also have implications for the gap between the generations? The report, prepared by Abigail McKnight of the Centre for the Analysis of Social Exclusion (CASE) at the London School of Economics, reaches the damning conclusion that there is a “glass floor” that prevents less academically gifted children from well-off backgrounds from falling down the social scale, which results in fewer opportunities for brighter young people who come from poorer homes to improve their outcomes in life. By analysing longitudinal data that was gathered from monitoring a single cohort of 17,000 children who were all born during the same week in 1970 to see how their lives progressed over time, the LSE researchers concluded that the less able children who came from wealthier homes were 35% more likely to become high earners as adults than their brighter but poorer peers. Looking at the causes behind this phenomenon, the CASE researchers argue that wealthier parents are more likely to provide a good home-learning environment during the early years, and then are more likely to be able to invest the required time and money in ensuring that their children benefit from the best available education, particularly by sending them to private or grammar schools. The CASE researchers go on to say that wealthier parents often consolidate their children’s advantages by giving them an extra helping hand when it comes to getting in to the most sought-after occupations through securing work experience opportunities via their social networks and being able to support their children if they have to do unpaid internships. Given that ultimately there are only so many university places and good jobs to go around, the Social Mobility and Child Poverty Commission concludes that the cumulative impact of these effects – all of which on their own would be considered perfectly understandable, even expected, forms of parental behaviour – puts bright young people from poor backgrounds at a big disadvantage, further perpetuating social inequality. Will things be worse for the next generation? The effects which the CASE researchers identified in their report should be deeply worrying to anyone who is concerned about fairness in today’s Britain. However, it’s worth remembering that their data is based on a cohort of young people born in the 1970s, which research from the Institute for Fiscal Studies has suggested as a generation are overall likely to be poorer than the post-War cohort which their parents belonged to because of higher house prices and less generous pension arrangements. This will in turn make them more dependent upon the wealth they inherit from their parents to be able to buy their own homes and provide for themselves in retirement; the fact that this generation enjoyed fewer opportunities to build wealth as a whole made inheriting it even more important, reversing progress towards social equality. Given that for the “Millennial” generation in the UK, housing is now often cripplingly expensive and being able to save a decent sum towards retirement is a distant afterthought, family wealth is likely to become even more vital for the children of the people covered by this study. If these trends continue, the problems facing today’s younger generation are likely to make the challenge of achieving social justice even more acute.